I don't know why, but I love the color black. Maybe because it always matches my hair color, I don't know? I love the night and the darkness. I just like the color black! 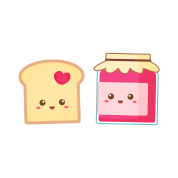 I love bread with strawberry jam and chopped up strawberries. But don't be fooled, I hate bread and jam on it's own. Spirited Away is my all time favorite movie. I love watching it even if I know most of the lines already. Spirited Away never fails to not impress me but I would love to see a second movie. How can I express my love for cats in just a few sentences? The answer is, I can't. Cats are my life and I love cats. 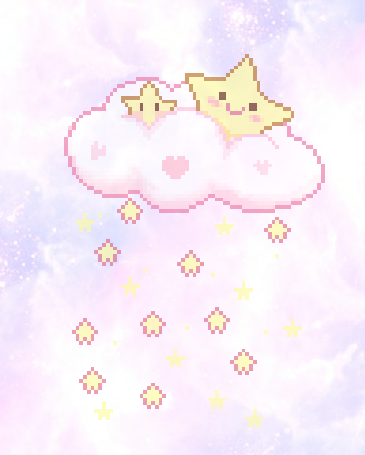 Unlike my wardrobe shows, I really love Cute and Pastel things. Friends are my everything and they make me who I am. I <3 every single one of them. My favorite TV Show of all time! I watched it all the time as a child and still continue to watch it occasionally. Every free second I have I'm listening to music. I find it a way to escape from the world even if it's for five minutes. I even use it to fall asleep.